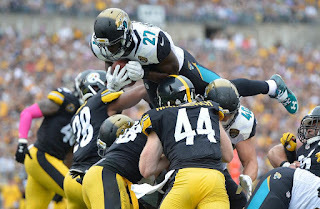 This recent loss to Jacksonville is, by any measure, a complete embarrassment. ESPN personality Michael Wilbon called the Steelers (seven point favorites pre-game) “dogs.” There’s at least some honor is losing to Brady. But the Jaguars’ quarterback, Blake Bortles, is the anti-Tom Brady. While Brady is almost universally regarded as the greatest of all time, Bortles has spent his short NFL career becoming a walking punchline. In August, when asked about how practicing against Drew Brees helped his defense, Saints defensive end Cameron Jordan said, “It helps the defense. 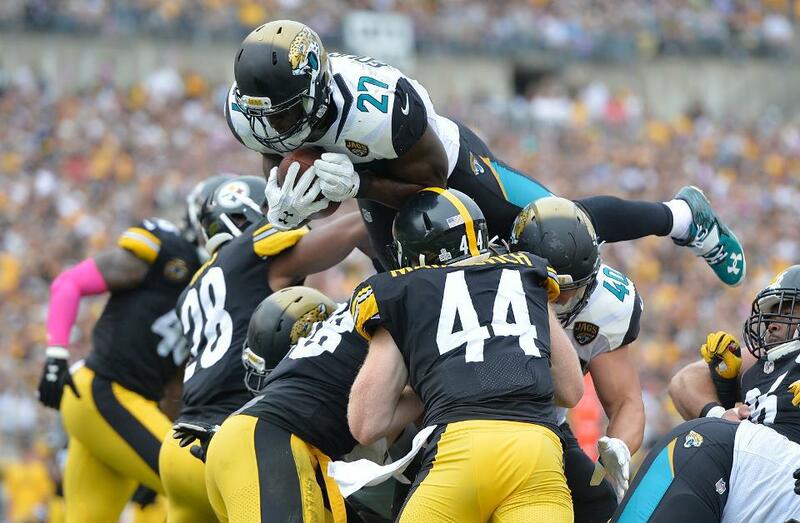 It’s not like we're going against Blake Bortles.” In September, Ted Cruz—yes, that one—tweeted that “losing to Blake Bortles twice in one week would just be cruel.” Blake Bortles, and the rest of the Jaguars, put 45 points on the Steelers on Sunday afternoon. “Now if the ministry of death, carved in letters on stone, came with such glory that the Israelites could not gaze at Moses' face because of its glory, which was being brought to an end, will not the ministry of the Spirit have even more glory? For if there was glory in the ministry of condemnation, the ministry of righteousness must far exceed it in glory. Indeed, in this case, what once had glory has come to have no glory at all, because of the glory that surpasses it. For if what was being brought to an end came with glory, much more will what is permanent have glory” (v.7-11).